In my last post I mentioned the Eau Roma Toner Water by Lush. I picked this up with their BB Seaweed fresh face mask on recommendation from the lovely employees in the Liverpool store. My skin's been in a bit of a pickle lately, a combination of ill health and bad weather has left me with pretty lack luster skin, dry patches, redness, that kind of thing. It was really getting me down, considering how good my skin was doing back at the beginning of the year! Arghh the frustration! I've always had a love/hate relationship with toner. Having oily skin, toner can be more of a hindrance than help. Toners can be pretty astringent, drying out the skin - which is great at first if you have oily skin, but the problem with oily skin is than when t gets too dry, it starts producing more oil to compensate for the dry skin. Now all skin types do this, just at different levels - and oily skinned ladies will know, our oil production levels can go through the roof! 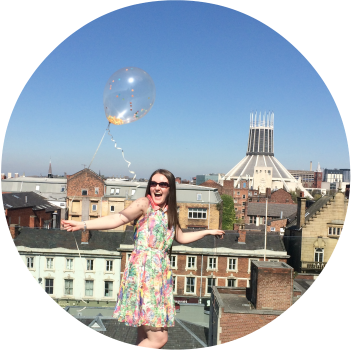 A few years ago I stopped using toners completely and it really did help. Until late last year. I was gifted the Dermalogica Oily Skin starter set which included a toner. I used it as stated on the regime and wow, toners have changed over the last few years! I really enjoyed using it, my skin felt cleaner, and it didn't overly dry out my skin - awesome! So since then I have been slowly introducing toners back into my routine. The lovely employees at Lush recommended the Eau Roma Toner Water to me as it's a gentle toner for everyday use that hydrates, soothes and evens skin tone. it's two key ingredients are lavender water and rose water. Lavender water is so gentle and soothing to the skin, and also tuns the toner water into a ready made aromatherapy spray. Lavender is known for it's calming properties and a quick spritz of this really does just that. It also contains Rose water, a delicate floral water that helps skin retain moisture without getting overly oily or greasy. It's a very mild astringent which helps to even skin tone and improve the appearance of skin. This product really is so gentle to the skin. I was originally planning on picking up the Tea Tree Toner but the Lush employee told me it might be too harsh on my skin right now as it will dry it out more - that's more of a 'summer' product for my skin we decided. I love how knowledgeable the staff are at Lush! Now, you can spritz this directly onto your face after cleansing, but I prefer to soak a cotton pad and wipe it over my face, removing any excess dirt that cleansing might have left behind. I don't like putting toner anywhere near my eyes either so doing it this way helps me to avoid that delicate area! My skin never feels dried out after using this, just really supple and hydrated. I use it twice a day and so far no reactions - hurrah! I have noticed that since using this, my breakouts do shrivel in size, and as pesky as they are, it's easier to deal with the smaller ones over the big ones! You can pick up a 250g bottle for £7.50 - a little on the pricey side for what it is, a 100g bottle is just £3.95 if you just fancy a taster. 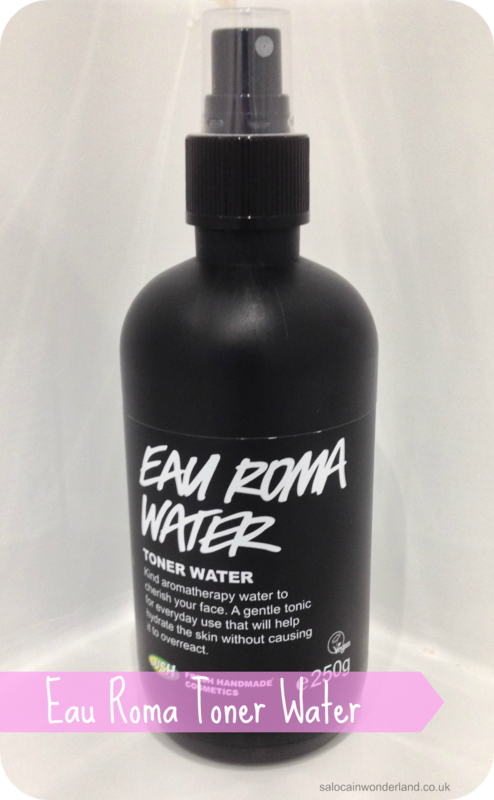 Have you used the Eau Roma Toner Water?